Now that Kevin Martin has announced his retirement, it’s fair to look back at his career and wonder where he fits among the greats and what his legacy will be. I was lucky in that K-Mart’s time on the ice more or less paralleled my years at the Globe and so I spent a lot of time interviewing him. I don’t think our reporter-athlete relationship started off all that great. I found him to be a bit arrogant and he felt I was biased against him. As time went on we both matured at our skills and developed a good relationship. He jokingly called me his favourite fiction writer, something he’ll still bring up to this day. On the ice, I think K-Mart is easily among the best of his generation and probably of all time. Four Brier titles, two Olympic medals and a world championship is a pretty damn good resume. There is also a Canadian junior championship and 17 Grand Slam titles, not too bad. Obviously winning gold in Vancouver would be the pinnacle and the performance of that team was among the best I’ve ever seen anywhere, anytime. I think the only spot where Martin lacked success was at the world championships where he had three silver medals in the men’s and one in juniors. He finally won in 2008 but the Olympic gold medal probably trumps all anyway. Martin also did a great deal off the ice to promote and enhance the sport. 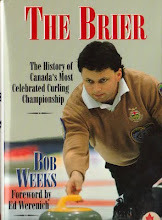 He was part of the group that started the Grand Slam with the Brier boycott, a move that may have been controversial at the time but clearly has paid off with the legitimacy of the Slam. In many ways he became the face of the players’ side of that battle while Randy Ferbey carried the flag for the other. I think the creation of the Slam and its subsequent takeover by Rogers really paves the way for the next generation of curlers. Martin always talked about that and it seemed a little patronizing at the time, but clearly the work of Martin and other such as Stoughton, Middaugh and Glenn Howard really has paved the way for that. 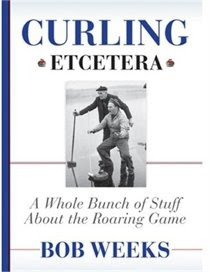 I think Martin also did more off the ice in terms of turning curling into a business than anyone else. Everything from schools to apps, he had a big enough profile among not just curling fans but sports fans to build up his business interests. And he was able to draw big companies into sponsoring him, something few players have had as much success with. And after that bumpy start with the media, I think he grew to become pretty savvy in talking to the press. He loosened up enough with those he knew to become a good quote and he learned how to build a relationship that would benefit both sides. Big shots and big moments? Well winning the gold, as I mentioned is on top. It's funny but when I look back, sometimes the big moments aren't the winning shots. I think of his missed draw in the final of the Salt Lake Games and I think of the famous non-call in the world championships against David Murdoch. To be fair, there are also a ton of great shots made in clutch situations. Martin was as good as anyone with those. I think Martin could also be a polarizing figure with is teammates. He demanded a lot and expected a lot. He wasn’t everyone’s cup of tea, but when the cheques rolled in and the titles piled up, no one seemed to mind. Really, he just won and he did it a lot. In his new position as an analyst, I think the Old Bear will do pretty well. I think it will take him a little time to get use to the job but he has done some work before, including a stint for NBC on the recent Olympics. 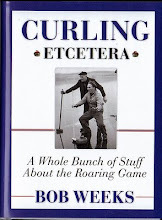 It will be curling’s loss when Martin packs it in after the Players. He’s clearly one of the best. The game will miss him.